A Labour councilor's son who was detained in Turkey on suspicion of trying to enter Syria to join the terror group ISIS is being flown back to the UK, an MP claimed. Waheed Ahmed, a 21-year-old man from Rochdale, Greater Manchester, and eight of his relatives were stopped by Turkish authorities as they allegedly tried to cross the border from Turkey into Syria on April 1. Labour MP Simon Danczuk said the Foreign Office told him that Ahmed was due to arrive into Birmingham Airport on Monday. He could not confirm when the remaining eight Britons, who traveled with Ahmed, would return to the UK. His relatives - two women aged 47 and 22, three men aged 24, 22 and 21, and four children aged one, three, eight and 11 - were stopped in Turkey’s Hatay province. Ahmed’s father, Labour councilor Shakil Ahmed, said he thought his son had been in Birmingham on a work placement when he found out that he had been detained in Turkey. 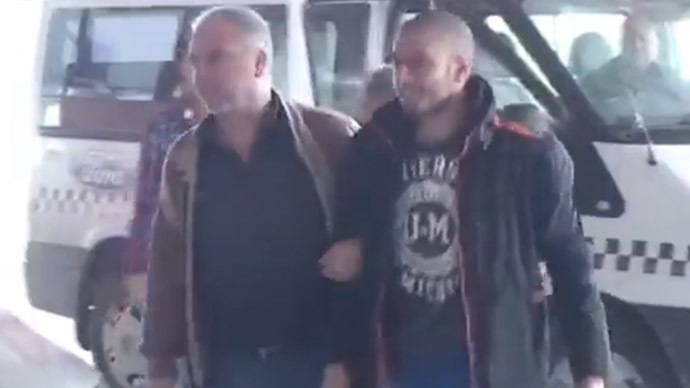 In a statement following his son’s arrest, he said: “I was shocked, worried and extremely upset to hear that my son has been arrested on the Turkey-Syria border. “It’s a total mystery to me why he’s there, as I was under the impression he was on a work placement in Birmingham. “My son is a good Muslim and his loyalties belong to Britain, so I don’t understand what he’s doing there. "If I thought for a second that he was in danger of being radicalized, I would have reported him to the authorities." He added that his son was studying for a degree in politics and sociology at Manchester University. “I just want to speak to my son and get him home as soon as possible so I can find out what's going on," he said. Video footage emerged Sunday apparently showing Ahmed leaving Antakya police station in Hatay and then getting on a coach to Antalya.